Learn more about the different Field types. Timers are a great way to track how much time you spend on a particular task. * Update the Timer manually, or simply click on the start/stop buttons. * Add multiple Timer fields on a particular workflow so you can track each user separately. * Customize your timers: ‘Quoting Time’, ‘Travel Time’, and ‘Work Time’ are all great ideas, depending on the information you need to keep on your tasks. To add a Timer to a workflow, simply give it a name. When you have a Timer on a task (as in the summary below), they appear like little digital clocks. * Press the ‘Play’ button (triangle) to start it counting. * Once it’s started, the ‘Play’ button changes to a ‘Stop’ button (square). * If you forget to start or stop a Timer, click on the value and enter the correct value in. * All Timer values are stored in the history (as are all fields) so you’ll always know what the values have been, this can be useful for audit purposes. 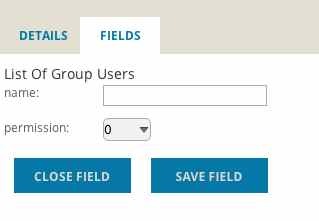 Team Users are similar to the List Of Items, except that Team Users fields automatically allow you to list all available users in your Team. * Include a field for ‘Allocated Worker’, ’Supervisor’, or ‘Quality Assurance Manager’ for each task your Team requires. 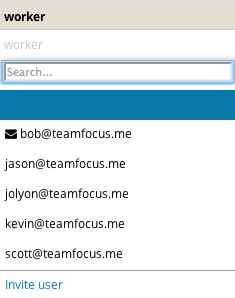 If you include the special keyword “me”, teamfocus automatically looks for the logged in user in the search or List. This way you can have worker:me or manager:me as a search requirement, to display only your tasks; all other users will see their own, with the same List. 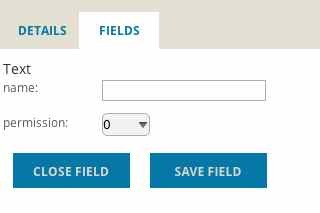 * Simply enter a name for your field to add it to your workflow. * All data in the selection is updated in your group as you invite users. To see a list of the people in your group, just click on the Worker field, in the example below you can see the list if Team members you can select from. Note: Bob has an envelope to the left of his name indicating that he has yet to accept his invitation to join the team. 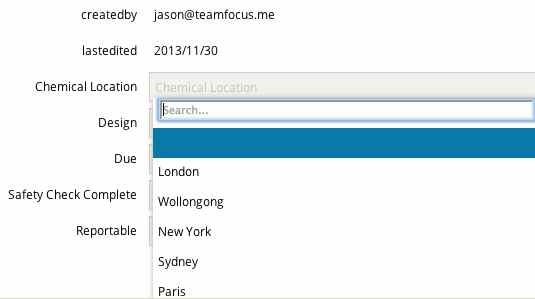 Text Fields are probably the most commonly used fields in teamfocus. Many customers use these for items like ‘Description’, ‘Extra Details’, ‘Solution’, ‘Investigation Results’ and ‘Current Progress’ etc. * Add as many of these to a workflow as you need to track what’s important to your team. 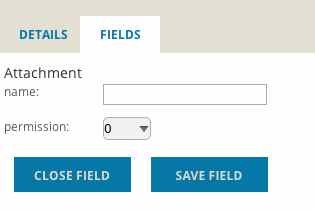 Data entered in this field will automatically resizes to your requirements, so you can see what you need on the page. Large numbers of Text Fields as summary fields can make the Task list look a little busy, but teamfocus lets you configure the layout as you need. The Description column here is a Text Field, and is available for simple clicking and editing. All data in these fields is kept by the teamfocus search engine, and is fully discoverable in searches. 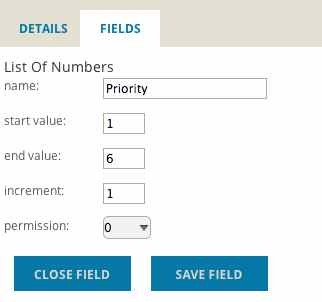 Lists of Numbers are fields that let you tell teamfocus which numbers are acceptable to your Team. This is great for things such as ‘Priorities’. When adding a List of Numbers field in a workflow, simply enter the lowest and highest numbers, and the increment (normally 1), like in the example below. When the field is shown in a Task, it shows you the selected value. 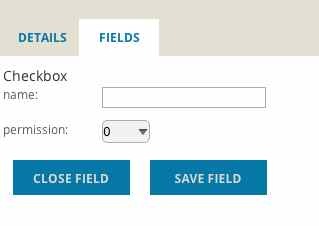 Click on the field to display all options, and select an option to save. Lists of Items are similar to the User List field type, except that the List of Items lets you put in just what you need, instead of consisting of an existing user list. 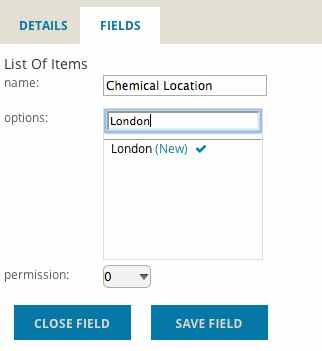 Add a List of Items field on a workflow by entering the list of desired options and clicking the tick next to the new item like in the example on the right. Click on the field to display all List Items options, and select an option to save. Create a Date Field on a workflow to immediately get a great set of features. 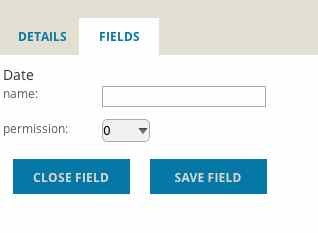 Simply enter a name for your field to add it to your workflow. 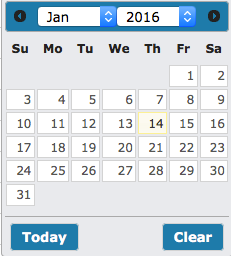 Click on a Date Field and teamfocus displays a calendar control. Enter the date yourself, or just click on the desired date in the calendar. These can be used for due dates, creation dates, birthdays etc. Many System Fields are also Date Fields; for example, lastedited and created will give you the same features as any Date Field you create yourself (except you can’t change System Fields). Checkboxes are used to simply mark a Task as having (or not having) something. * Some of our customers have Tasks with many Checkboxes, and each Task is used as a record of a checklist. * Site safety inspections – used before equipment use, or before starting work – are great uses for this particular Field Type. Once you have a list of tasks on your screen, just clicking on the box will toggle it from unchecked to checked. Searching is easy, with a search Safety Check Complete:on will match all tasks where this Checkbox is on. File Attachments let you store normal computer files with a task. * Histories are not stored for this type of field. The Attachment field uses standard browser controls to upload the associated file. Once this is done, a link will display on the task that allows you to download the Attachment. * attachment:yes which will match any task with an Attachment. This is useful when you need to discuss a particular Task in other channels, or to generate order numbers. You can have any number of Counters on a Task, and you can have different Counters on different Workflows. * users cannot edit them. A ‘Q’ could be prefixed for quote numbers or a ‘T’ for Task numbers. 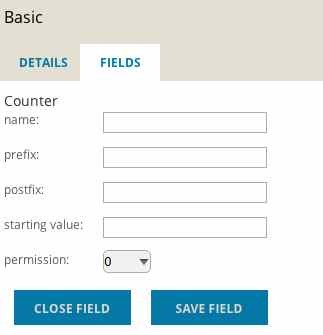 The Team administrator can set the starting value when creating the field. Note: Only saved Tasks will have Counters on them. Adding a Counter Field to a Workflow won’t automatically update all old Tasks; it will only create a number for any subsequently edited Tasks. Note: See Advanced Searching for more information on how to search for tasks that include Fields of any Type.